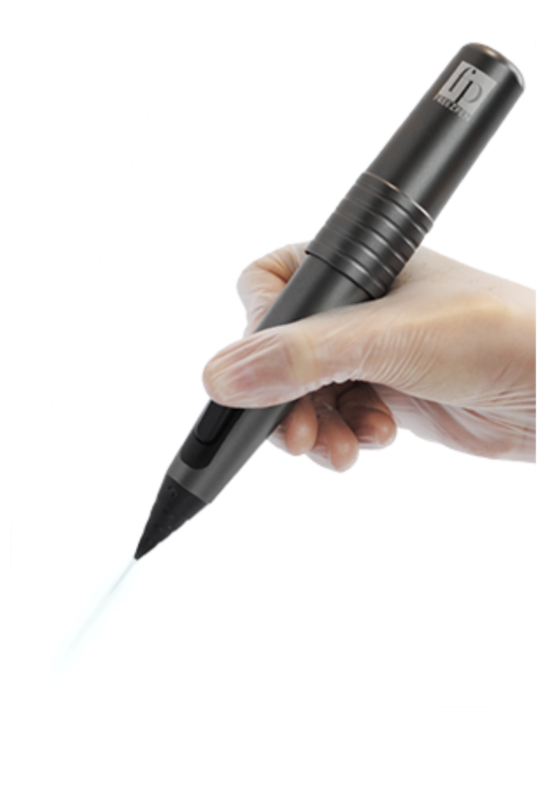 Freezpen provides a practical and easy to use instrument, that is cost effective and treats in seconds. Specifically designed primarily for general practitioner, dermatology and cosmetic applications, it is the optimal solution for treating warts, condyloma, hemangiomas, skin tags, keratoses and all other benign skin disorders. A no stress treatment. Freezpen’s high precision limits damage to healthy skin, minimizing discomfort to patients. 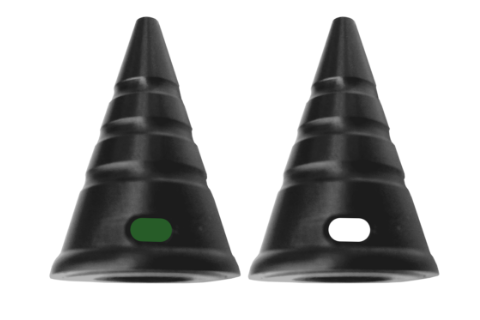 Effective result achieved from first treatment, with Freezpen’s high pressure achieving deeper penetration. Worldwide our Freezpen users are situated amongst GP’s (family doctors), dermatologists, plastic surgeons, gynecologists & urologists (both for genital warts), podiatrists, pediatricians, veterinarians and more. With low priced small cryogen cartridges. Optimal safety, no maintenance, no side effects. 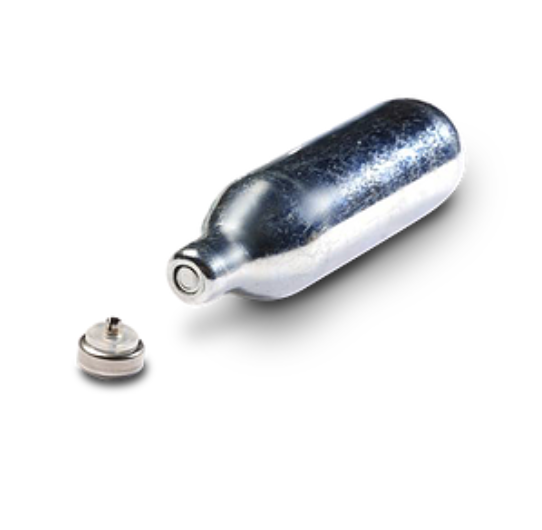 It uses the direct application temperature of nitrous oxide at -89°C. 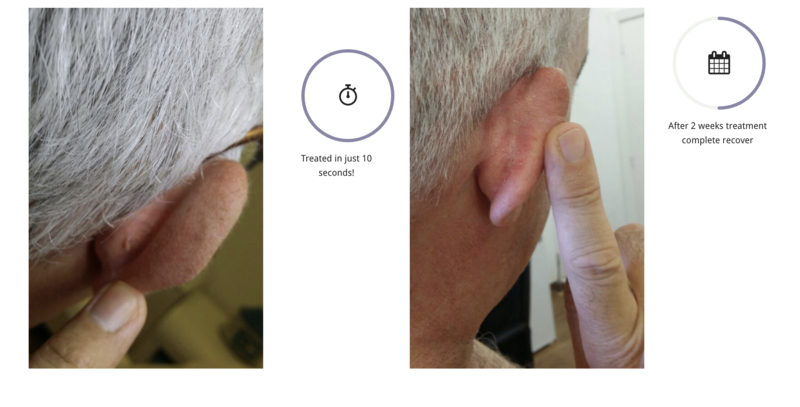 Treatment time relates to the size of the lesion and the applicator used and varies between 3 and 40 seconds. 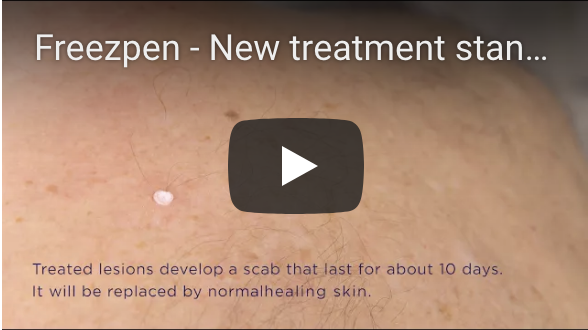 Cryosurgery is the reference standard for skin lesion treatment in dermatology practice. 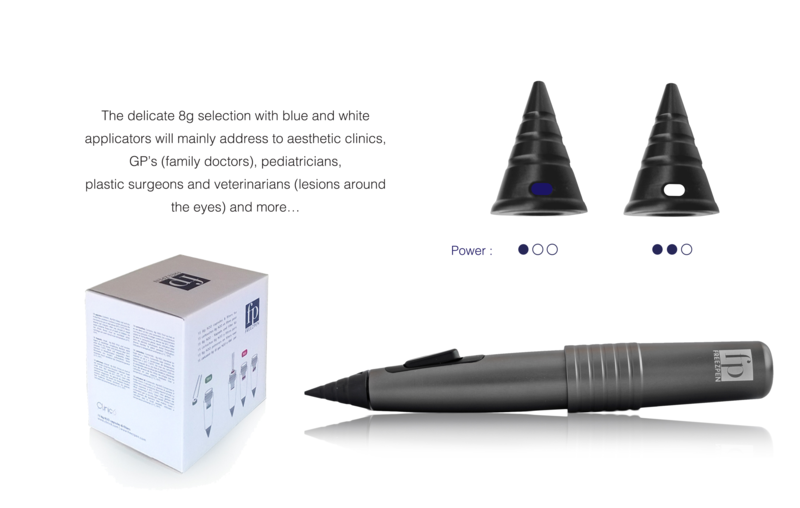 With its very practical profile Freezpen has facilitated the development of this technique to a much wider audience of medical and aesthetic professionals. 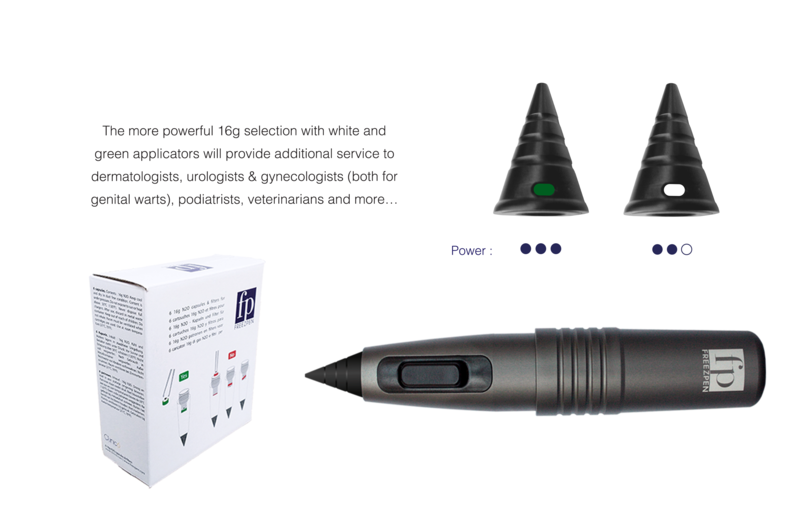 As the accuracy, the logistics and the difficulties for storage with liquid nitrogen is a problem for most specialists facing skin lesion treatment, the very compact & practical Freezpen with its concept of disposable cartridges will show to be an innovative and very affordable solution. Optimal safety, no maintenance and no side effects are the features. It uses the direct application of nitrous oxide at -89°C and requires between 3 and 40 secondes of treatment to deliver very effective result up to a maximum depth of 5mm. 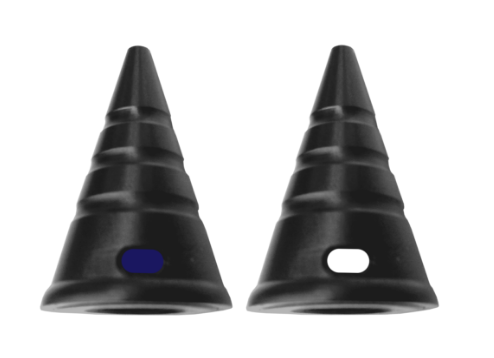 Freezpen not only has very affordable cartridges, but will counter all competition with dedicated sterilisable applicators, of which 2 now always come as a standard. Freezpen is a winning concept altogether!